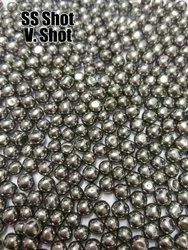 Manufacturer of a wide range of products which include stainless steel cut wire shot, ss cut wire shot, stainless steel shot and stainless steel condition shot. We are known as a well-established Manufacturer and Supplier of Stainless Steel Cut Wire Shots in Indore. The high quality range of Stainless Steel Cut Wire Shots, offered by us, is known for their efficiency and reliability. We ensure the timely delivery of the best grade Stainless Steel Cut Wire Shots. 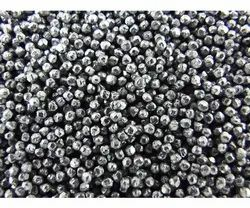 We are leading manufacturers, and suppliers of a wide range of SS Cut Wire Shot with different diameters ranging from 0.2mm upto 2.0mm. (0.2mm, 0.4mm, 0.6mm, 0.8mm, 1.0mm, 1.2mm, 1.5mm). The hardness ranging from 40 - 64 HRC (Typical hardness : 40-50 HRC) can be made according to the customers requirements. We can Offer both AS-Cut & Round / Conditioned, which is best suited for shot blasting. The cylindrical shape of the cut wire shots helps prevent denting and dust. We offer this product at competitive market prices and tailor made as per the specific requirements of our clients. We manufacture in accordance with standards IS:5873-1970, SAE, BSS & DIN. 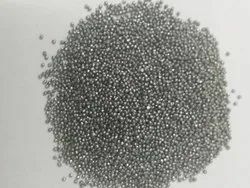 We are one of leading suppliers and exporters of Stainless Steel Shot in market, fulfilling varied requirements of our customers. Our comprehensive quality check methods ensure us to provide best quality steel shots to our clients. We offer them in multiple sizes and design in accordance with needs of customers. Our shots are highly demanded in the market for their accurate dimensions and durability. We are known as a well-established Manufacturer and Supplier of Stainless Steel Condition Shots in Indore. The high quality range of Stainless Steel Cut Wire Shots, offered by us, is known for their efficiency and reliability. We ensure the timely delivery of the best grade Stainless Steel Cut Wire Shots.